Ages in Chaos is the second book by Immanuel Velikovsky, first published by Doubleday in 1952, which put forward a major revision of the history of the Ancient Near East. A second volume was due for publication shortly after this but was postponed and expanded into four volumes, two of which (Peoples of the Sea and Ramses II and his time) were published in the two years preceding his death, and two of which remain unpublished in print (The Assyrian Conquest and The Dark Age of Greece) —however the manuscripts have long been available via the http://www.varchive.org site. Velikovsky claimed in this book that the histories of Ancient Egypt and Ancient Israel are five centuries out of step. He began by claiming that the Exodus took place not, as orthodoxy has it, at some point during the New Kingdom, but at the fall of the Middle Kingdom. He identifies the Hyksos with the Biblical Amalekites, the Biblical Queen of Sheba with the Egyptian queen Hatshepsut, the Biblical Shishak king of Egypt with Pharaoh Thutmose III, and claims that the Egyptian Amarna letters from the late 18th Dynasty describe events from the kingdoms of Israel and Judah, roughly the time of King Ahab. Synchronising the Ipuwer Papyrus, from the beginning of Egypt’s Second Intermediate Period, with the Biblical Exodus. (The Ipuwer Papyrus was conventionally dated to approximately 350 years before the conventional date of the Exodus (1450 BCE)). Separating Horemheb and the 19th Dynasty pharaohs from the earlier 18th dynasty pharaohs. Instead, the 22nd through 25th dynasties follow upon the earlier part of the 18th, leading down to the Assyrian invasions of the early 7th century BCE. Identify each of the major 19th dynasty pharaohs with a corresponding pharaoh of the 26th. Thus, Rameses I becomes Necho I, Seti I becomes Psamtik I, Rameses II is Necho II, and Merneptah is Apries. In order to make these identifications work, Velikovsky postulates that the Neo-Babylonian kings are actually identical to the Kings of the Hittites, and therefore that Rameses II’s battle with the Hittites at Kadesh is identical to Necho’s fight against Nebuchadrezzar II at Carchemish. Thus Nabopolassar is Mursili II, Neriglissar is Muwatalli, Labashi-Marduk is Urhi-Teshup, and Nebuchadrezzar II is Hattusili III. Having arrived at the Persian conquest, Velikovsky now has the problem of fitting in Manetho’s 20th and 21st dynasties. The 20th dynasty here becomes identified with the dynasties which ruled a newly independent Egypt in the early 4th century BCE, and the Sea Peoples against whom Rameses III fought are now identified as the Greek mercenaries of the Persian Kings (who are here identified with detailed justification as the Peleset, normally seen as another name for the Philistines). The 21st dynasty then becomes a line of priest-kings who ruled simultaneously with the Persians. Several criticisms have been levelled at Velikovsky’s work. Although most of the theories presented in Ages in Chaos are considered quite unacceptable by most scholars, some of the ideas have been confirmed by independent research by notable scholars. For example, his hypothesis that the Ipuwer Papyrus belongs not in the First Intermediate Period but rather in the Second Intermediate Period of ancient Egyptian history was confirmed in 1966 by John Van Seters in The Hyksos: A New Investigation. Van Seters’ analysis was based on sound linguistic criteria and has never been refuted. His conclusions were reached quite independently of Ages in Chaos. Van Seters was probably not even aware of Velikovsky’s work. The controversy over the chronology of Ancient Egypt has not entirely gone away. The Egyptologist David Rohl has put forward his own revised chronology; Peter James has also put forward a revised chronology similar though not quite identical to Rohl’s in Centuries of Darkness. Although they share some common ground with Velikovsky in terms of their criticisms of the orthodox chronology there are some important differences. In particular, these recent revisionists consider that the chronology of the Ancient Near East becomes “fixed” with the conquests of the Assyrians in the 7th century BCE, i.e. at this point the history of the Ancient Near East becomes sufficiently well established that the orthodox view cannot be questioned. 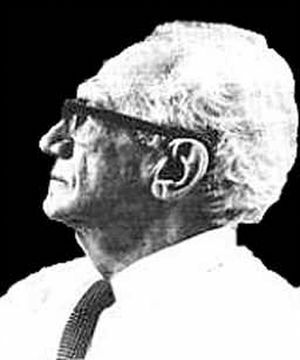 Velikovsky would have disagreed, he carried his revisionism down into the Late Period in Ancient Egyptian history, and considered that the history of the Ancient Near East only becomes “fixed” with the conquests of Alexander the Great in the 4th century BCE. John J. Bimson’s book Redating the Exodus is based on a similar chronological revision. More recently Emmet Sweeney, an adept of Velikovsky,Amazon.com: Profile For Emmet Sweeney: Reviews The Velikovskian, Back Issues and Articles has launched a series of books named Ages in Alignment. These generally accept the synchronisms and character identifications proposed by Velikovsky in Ages in Chaos. More specifically, in Empire of Thebes, Sweeney has presented an in-depth defence of such pivotal identifications as Hatshepsut = Queen of Sheba and Thutmose III = Shishak. But he differs from Velikovsky in bringing all of these characters down into the seventh century BC, to be in line with stratigraphic evidence presented by Gunnar Heinsohn. For Sweeney, therefore, the Mitanni, who corresponded with the pharaohs of the Eighteenth Dynasty, are one and the same as the Medes, conquerors of the Assyrian Empire. Both Sweeney and Heinsohn have pointed out that the Mitanni are recognized by mainstream academia as the conquerors of the “Old Assyrian Empire”, whose most famous kings were named Sargon and Naram Sin.The Genesis of Israel and Egypt. A book by Emmet John Sweeney Sweeney’s work has only recently begun to appear and as yet has not been debated in any depth.